A Palestinian civilian was killed, and 84 others were wounded, including 11 children, 2 women and a paramedic, in the Gaza Strip. 19 Palestinian civilians were wounded in the West Bank. Israeli warplanes launched 13 missiles against many targets in the Gaza Strip. 3 civilians were lightly wounded; a car and motorbike were destroyed; and 8 house windows sustained damage. Israeli forces continued their collective punishment policy. The external and internal walls of an apartment were demolished in eastern Barta’ah village in Jenin in the northern West Bank. A shepherd was wounded in the northern Gaza Strip. Israeli forces conducted 61 incursions into Palestinian communities in the West Bank and 2 limited incursions were conducted in the southern Gaza Strip. 83 civilians, including 4 children and 2 women, were arrested in the West Bank. 22 of them, including 2 children and a woman, were arrested in Jerusalem. 5 commercial facilities were demolished in Hizmah in addition to an iron fence in al-Tour and a parking in Silwan. Meanwhile, an agricultural land was levelled in al-‘Issawiyah. 3 families were forced to self-demolish their houses in Silwan and Sour Baher while a house was demolished in Beit Hanina. 3 shooting incidents were reported against the Palestinian fishing boats in the Gaza Sea, but no casualties were reported. 3 fishermen were arrested while their boat sustained severe damage. 10 Palestinian civilians, including a child, were arrested at the military checkpoints in the West Bank. Israeli violations of international law and international humanitarian law in the oPt continued during the reporting period (21 – 27 June 2018). 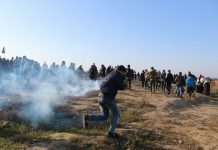 Israeli forces continued to use lethal force against Palestinian civilians, who participated in peaceful demonstrations organized within the activities of the “Great March of Return and Breaking the Siege” in the Gaza Strip, which witnessed for the 12th week in a row peaceful demonstrations along the eastern and northern Gaza Strip border area. During the reporting period in the Gaza Strip, the Israeli forces killed a Palestinian civilian and wounded 88 others, including 11 children, 2 women, a journalist and paramedic. Ten of those wounded sustained serious wounds. In the West Bank, the Israeli forces wounded 19 Palestinian civilians, including 2 children and a woman. In the Gaza Strip, on 22 June 2018, the Israeli forces killed Usamah Abu Khater (29) with a bullet to the chest during his participation in the protests organized in eastern Khuza’ah village, east of Khan Younis in the southern Gaza Strip. After his injury, he was taken to the European Gaza Hospital in the city and admitted to the Intensive Care Unit (ICU) where he stayed until his death was declared on 24 June 2019. During the reporting period, while using the excessive force against the peaceful protesters along the Gaza Strip borders, the Israeli forces wounded 84 Palestinians, including 11 children, 2 women, a paramedic, and a journalist. Ten of those wounded sustained serious wounds. As part of the airstrikes, on 21 June 2018, the Israeli drones launched 2 missiles a group of civilians participating in the Great March of Return in eastern al-Shokah village, east of Rafah City. However, no casualties were reported. On 24 June 2018, an Israeli warplane launched a missile at a Tuk Tuk “Rickshaw” travelled by 3 people near Malakah Square in eastern al-Zaytoun in eastern Gaza City. As a result, they were lightly wounded. The Israeli forces claimed that they had incendiary balloons. On the same day, the Israeli drones launched 3 missiles at a site belonging to the Palestinian Armed Groups and a motorbike in eastern al-Bureij in the central Gaza Strip and 2 other missiles at a site belonging to the Palestinian armed groups in western al-Bureij refugee camp in the central Gaza Strip. On 26 June 2018, in two separate airstrikes, the Israeli warplanes fired 2 missiles at a group of civilians near a juice factory in eastern al-Shuja’iyah neighbourhood and a motorbike belonging to those flying the kites in eastern al-Tufah neighbourhood, east of Gaza City. However, no casualties were reported. On 27 June 2018, the Israeli warplanes launched 2 missiles at a jeep parked in front of the owner’s house in eastern al-Nussairtat in the central Gaza Strip. As a result, the car caught fire and severely damaged in addition to causing damage to 8 house windows in the area. However, no casualties were reported. As part of targeting the border areas, on 23 June 2018, the Israeli forces along the border fence between the Gaza Strip and Israel, northeast of Jabalia in the northern Gaza Strip, fired tear gas canisters at farmers and shepherds who were in the Palestinian agricultural lands adjacent to the border fence. As a result, a shepherd was wounded after being hit with a canister to the right thigh. On 26 June 2018, the Israeli vehicles stationed along the border fence between the Gaza Strip and Israel fired an artillery shell at a border control point belonging to the Palestinian armed groups, east of al-Shiuja’iyah in eastern Gaza City. However, no casualties were reported. On 27 June 2018, the Israeli forces opened fire and fired 2 artillery shells on an empty land around 800 meters away from al-Amal neighbourhood, northeast of Beit Hanoun in the northern Gaza Strip. Neither casualties nor damage to the property were reported. On the same day, the Israeli soldiers stationed along the border fence, east of al-Maghazi in eastern Gaza Valley village in the central Gaza Strip opened fire at the agricultural lands adjacent to the fence, but no casualties were reported. As part of targeting Palestinian fishermen in the Gaza Sea, the Israeli forces continued to escalate their attacks against the Palestinian fishermen, pointing out to the ongoing Israeli policy of targeting their livelihoods. During the reporting period, PCHR documented 3 shooting incidents at the fishermen, including 1 in north-western Beit Lahia, 1 in the central Gaza Strip; and one in Rafah City in the southern Gaza Strip. During the reporting period, 3 fishermen were arrested and released after interrogation while their boat sustained damage. In the West Bank, during the reporting period, the Israeli forces wounded 19 Palestinian civilians, including 2 children and a journalist. On 21 June 2018, five Palestinians were wounded with bullets when the Israeli forces moved into Beit Fajjar village, south of Bethlehem, to carry out an arrest campaign and a number of youngsters protested. On 22 June 2018, 8 civilians were wounded, including 2 children and a photojournalist, during their participation in Kafr Qaddoum weekly protest, northeast of Qalqiliya. On 24 June 2018, a Palestinian civilian was wounded when Israeli soldiers stationed at al-Container checkpoint, northeast of Bethlehem, opened fire at him, claiming he approached the soldiers and did not obey their orders to stop. He was then arrested. On 25 June 2018, 5 civilians were wounded, and one of them was arrested when the Israeli soldiers moved into the eastern area of Nablus to guard hundreds of settlers who entered the area to perform prayers in Josef’s Tomb in Balatet al-Balad. Three of them were wounded during their participation in the protest against the settlers. Moreover, a father and his son were wounded when they were in their car heading to the central vegetable market in the city. During the reporting period, Israeli forces conducted at least 61 military incursions into Palestinian communities in the West Bank and8 similar ones into Jerusalem and its suburbs. During those incursions, Israeli forces arrested at least 61 Palestinians, including 2 children and a woman, in the West Bank. Meanwhile, 22 other civilians, including 2 children and a child, were arrested in Jerusalem and its suburbs. In the Gaza Strip, on 26 June 2018, the Israeli forces twice conducted an incursion into Khan Younis. The first was when they moved 80 meters into eastern al-Qararah village and the second was when they moved 70 meters into northern Return camp in Khuza’ah vill;age, east of the city. As part of the collective punishment policy adopted by the Israeli forces against the Palestinian families of those accused of carrying out attacks against them and/or the settlers, on Thursday early morning, 21 June 2018, the Israeli forces demolished the external and internal walls of the apartment in Eastern Barta’ah village, southwest of Jenin, that is isolated behind the annexation wall. The 140-square-meter apartment belongs to Ratib Qabha and is inhabited by his daughter (35) and her child. It should be noted that the Israeli forces arrested the son of the abovementioned civilian, ‘Alaa’ (26), on 16 March 2018 after he was shot and wounded due to running over a number of soldiers stationed at the checkpoint near former “Mavo Dotan” camp, south of Jenin. In the same context, the Israeli Municipality forced al-Showaki Family to self-demolish their house in Was Yasoul neighbourhood in Silwan village, south of occupied East Jerusalem’s Old City under the pretext of non-licensing. Wael al-Showaiki said to PCHR’s fieldworker that his family and he were forced to demolished 2 under-construction houses to avoid paying NIS 90,000 as the municipality staff told them. Wael said that the 2 houses cost him around NIS 40.000. In the same context, Ibrahim ‘Amirah self-demolished his house in Sur baher village, south of occupied East Jerusalem. The house was built 2 years ago and comprised of 4 rooms, kitchen and bathroom sheltering 6 individuals, including 4 children. He said that when the demolition decision was issued, he immediately headed to the Israeli Courts, but unfortunately all courts decided to demolish the house. Thus, he was forced to self-demolish his house to avoid paying fines that may reach over NIS 90,000. On Tuesday, 26 June 2018, the Israeli Municipality vehicles demolished a house belonging to ‘Izzat ‘Abed al-Qader in Tal’et Hizmah area in Beit Huninah neighbourhood, north of occupied East Jerusalem, under the pretext of non-licensing. The 90-square-meter house was built near his family house in 2000 and was sheltering his wife and 1-year-old child. In the same context, the Israeli Municipality vehicles levelled an iron fence in al-Hardoub area in al-Tour neighbourhood, east of occupied East Jerusalem’s Old City, and a parking in Silwan, south of the city, in addition to an agricultural road in al-Issawiyia village, northeast of occupied East Jerusalem. At approximately 01:30, Israeli forces moved into Howarah village, south of Nablus. They then raided and searched a number of houses after which they arrested Khalid Abdul Jalil al-Sharidah and Nasser Medhat al-Shalkhati. Around the same time, Israeli forces moved into al-Laban eastern village, south of Nablu. They raided and searched a number of houses and then arrested Jamil Ya’qoub ‘Ouweish and Ahmed Ghassan Daraghmah. At approximately 02:00, Israeli forces moved into Beit Ummer village, north of Hebron and stationed in Beit Za’tarah area. They raided and searched 2 houses belonging to Karim Mahmoud Hamdi Abu Maria (19), who was released from the Israeli jails last April after he served few months in detention, and Mahdi Mohammed Hammad Abu Maria (19) and the arrested them. Around the same time, Israeli forces moved into Bethlehem and stationed in al-Karkafah neighborhood in the center of the city. They raided and searched a number of houses after which they arrested 5 civilians, including a child, namely ‘Odai Makhlouf Zawahrah (21), Hamadah Fayez Salhab (20), Abdul Majid Zedan Salhab (18), Mohammed ‘Adel Zaboun (14) and his brother Mahmoud (19). At approximately 02:40, Israeli gunboats stationed offshore, adjacent to al-Zawaidah shore in the central Gaza Strip, opened fire at Palestinian fishing boats sailing within 3 nautical miles and chased them. As the fishermen were forced to flee fearing for their lives, but no casualties were reported. At approximately 03:30, Israeli forces moved into Beit Fajjar village, south of Bethlehem. They raided and searched a house belonging to Mohammed Na’im ‘Ali Taqatqah (24) and the arrested him and attacked his older brother. At approximately 05:00, Israeli forces accompanied with 10 more than military vehicles moved into al-Duheishah refugee camp, south of Bethlehem and stationed in al-Shuhada’a Suburb. Dozens of young men and children gathered on the camp streets and threw stones and empty bottles at Israeli soldiers. The soldiers heavily fired rubber-coated metal bullets and tear gas canisters. As a result, a civilian was hit with 3 rubber bullets to the chest. He was transferred to a nearby hospital in Beit Jala to receive medical treatment. Meanwhile, the soldiers raided and searched a house belonging to Jamal Mohammed Shehadah (56). They detained him for a while and then released him. They also arrested ‘Odai ‘Adnan Mohammed Shehadah (21). At approximately 15:20, Israeli drones fired 2 missiles, with 10 minutes between each, at a group of civilians participating in the Great March of Return, east of al-Shawah village, east of Rafah. However, no casualties were reported. At approximately 16:00, Israeli forces moved into Beit Fajjar village, south of Bethlehem under intensified measures and security backups. They raided and searched a number of houses and then arrested 5 civilians, including a child, namely Mohammed Ahmed Taqatqah (23), Qassam Ahmed Thawabtah (23), Khalil Mohammed Thawabtah (28), Mohammed Eyad Thawabtah (16) and Mo’atasem Na’im Taqatqah (21). Meanwhile, dozens of young men and children gathered on the village street. They threw stones and empty bottles at Israeli soldiers. The soldiers heavily fired live and rubber bullets and tear gas canisters. As a result, 5 civilians were hit with live bullets. They were transferred to Beit Jalal hospitals for medical treatment. At approximately 20:00, Israeli gunboats stationed offshore, west of Rafah in the southern Gaza Strip, opened fire at Palestinian fishing boats sailing within 6 nautical miles and pumped water at the engines and lights to damage them and then chased the boats. As a result, the fishermen were forced to flee fearing for their lives, but no casualties were reported. Note: During the aforementioned day, Israeli forces conducted (4) incursions in the following areas and no arrests were reported: Far’oun village, south of Tulkarm; Dura, Hebron and Sa’ir. At approximately 15:30, Israeli forces moved into al-Moghir village, northeast of Ramallah. They raided and searched several houses and then arrested Mohammed Hamad Abu ‘Alia (22) and Ahmed Mousa Abu ‘Alia (19). Note: During the aforementioned day, Israeli forces conducted (13) incursions in the following areas and no arrests were reported: Tulkarm, Noor Shams and Tulkarm refugee camps and ‘Anabta village, east of the city;Far’oun village, south of the city; Qifin, Baqa al-Sharqiyah, Zeta, Nazlet ‘Essa and Nazlet Abu al-Nar villages, north of the city; ‘Azoun village, east of Qalqiliyah; Hebron and Ethna. At approximately 01:00, Israeli forced raided and searched a house belonging to ‘Aref Mohammed Jaber (46) in Jaber neighborhood, east of Hebron’s Old City. They locked the family members outside the house while other soldiers thoroughly searched the house. They then arrested ‘Aref’s son Bara’a (19) and then withdrew from the house. It should be noted the Israeli soldiers attacked the house 2 weeks ago and attacked him and his wife and then arrested his son Mohammed. They released Mohammed on bail after they investigated with him in “Kiryat Arba” settlement police center. The soldiers claimed that the road, which is used by the settlers coming from the abovementioned settlement that passes by the family’s house was closed with rocks. At the same night, the Israeli soldiers raided and searched a number of houses and adjacent neighborhoods, but no arrests were reported. 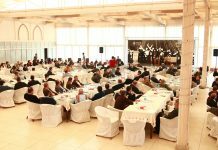 A number of the house’s owners were identified as Saleh Samer al-Ja’bari, Jawad Khader al-Ja’bari, Ahmed Rashid al-Zair and Mohanned al-Ja’bari. At approximately 09:30, Israeli gunboats stationed offshore, northwest of former al-Waha shore, northwest of Beit Lahia in the northern Gaza Strip, heavily opened fire at Palestinian fishing boats. The Israeli gunboats surrounded a fishing boat with a registration plate No. (532) belonging to Kamel Deeb Mahmoud al-Anqah (66) from al-Salateen neighborhood in Beit Lahia. The boat was manned by Kamel’s sons Haitham (28) and Ahmed (25) and fisherman Mohammed Mahmoud Ahmed al-Sultan (25). The boat was sailing within 2 nautical miles and was around1200 meters away from the northern Gaza Strip. The soldiers ordered the fishermen to take off their clothes, jump into water and swim towards the Israeli gunboats. The fisherman Haitham al-Anqah was able to flee from the Israeli soldiers after he jumped into the water while a group of fishermen could reach the boat and dragged it by their boats. The damage was clear on the boat due to the Israeli forces shooting. The boat and its engine were hit with a number of live bullets. The Israeli gunboats took the 3 fishermen Ahmed and Mahmoud al-Anqah and Mohammed al-Sultan to Ashdod Seaport in Israel where they detained and investigated the fishermen. The Israeli forces released them at approximately 19:30 on the same day via Beit Hanoun “Erez” crossing in the northern Gaza Strip. At approximately 09:45, Israeli forces stationed behind a sand barrier along the border fence between the Gaza Strip, east of Abu Safiyah Hill, northeast of Jabalia in the northern Gaza Strip, fired a number of tear gas canisters at Palestinian farmers who were in their lands adjacent to the border fence in addition to shepherds. As a result, shepherd Rami Saleem Ramadan Matar (40) from Jabalia was hit with a tear gas canister to the back side of his right thigh. Rami was grazing the sheep around 100 meters away from the west of the border fence. He was transferred to the Indonesian Hospital and doctors classified his injury as minor. Note: During the aforementioned day, Israeli forces conducted (4) incursions in the following areas and no arrests were reported: Qifin, Baqa al-Sharqiyah, Nazlet ‘Essa and Nazlet Abu al-Nar villages in Tulkarm. At approximately 01:00, Israeli forces moved into Bethlehem and stationed on al-Saf Street. They raided and searched a number of houses and then arrested 3 civilians namely ‘Ayad Jamal al-Haremi (24), Ramzi Mohammed al-Haremi (23) and Mohammed ‘Amar al-Shubaki (21). Following that, the Israeli forces moved into Ma’ali Valley area in the center of the city. They raided and searched a house belonging to Khalil Jamal al-Haremi (22) and then arrested him. At approximately 02:30, the Israeli forces moved into al-Manarah Square in the center of Bethlehem. They raided and searched a house belonging to Hussein Ashraf Kawazbah (22) and then arrested him. At approximately 01:30, Israeli Israeli forces moved into Halhoul. They raided and searched 3 houses and then handed summonses to 3 civilians namely Mamdouh Sami Abu ‘Osbah, Ayman ‘Ali al-Jabarat and Mohammed Khalil al-Baw to refer to the Israeli Intelligence Service ice in “Gush Etzion” settlement complex, south of Bethlehem. At approximately 02:00, Israeli forces moved into Noor refugee camp, east of Tulkarm. They raided and searched 2 houses belonging to Haitham Mar’ie Saleh Shehadah (35) and Mohammed Ahmed Abdul Rahman Foudah (22) and then arrested them. At approximately 02:15, Israeli forces moved into Zeta village, north of Tulkarm. They raided and searched a house belonging to Ibrahim Fares Mohammed Sharqiyah (22) and then arrested him. At approximately 03:30, Israeli forces moved into al-‘Abiyat area, east of Bethlehem. They raided and searched a house belonging to Mahdi Yasser al-‘Abiyat (22) and then handed him a summons to refer to the Israeli Intelligence Service in “Gush Etzion” settlement complex, south of the city. Around the same time, Israeli forces moved into al-Moghir village, northeast of Ramallah. They raided and searched a number of houses and then arrested Anwar Moneer Abu ‘Alia (26). At approximately 16:00, Israeli drones fired 3 missiles at a site belonging to Palestinian armed groups and a motorbike, east of al-Buraij in the central Gaza Strip. The airstrike caused damage to the site, but no casualties were reported. At approximately 17:00, an Israeli drone fired 2 missiles at a site belonging to Palestinian armed groups, west of al-Buraij refugee camp in the central Gaza Strip. The airstrike caused damage to the site, but no casualties were reported. At approximately 18:35, an Israeli drone fired a missile at a Tuk Tuk travelled by 3 civilians near Malakah square, east of al-Zaytoun neighborhood, east of Gaza City. As a result, the 3 civilians were lightly wounded and transferred to al-Shifa Hospital. The Israeli forces claimed that the 3 civilians had Incendiary balloons. Note: During the aforementioned day, Israeli forces conducted (5) incursions in the following areas and no arrests were reported: Tulkarm and Far’oun village, south of the city; Baqet al-Hatab, east of the city; Yatta and Hebron. At approximately 01:00, Israeli forces moved into Qabatiyah village, southeast of Jenin. They raided and searched a number of houses after which they arrested 4 civilians namely Qutibah Ahmed Shalabi, Rabe’a Fadel Zakarneh, Ahmed Sa’ed Abu al-Rab and Basem Tazaz’ah. Around the same time, Israeli forces moved into Jenin refugee camp, west of Jenin. They raided and searched a house belonging to ‘Emad Abu al-Haija al-Tawil and then arrested. At approximately 01:30, Israeli forces moved into Tubas. They raided and searched several houses and then arrested Mohammed ‘Adnan Daraghmah and Kamal Jamal Daraghmah. Around the same time, Israeli forces moved into Tamoun village, south of Tubas. They raided and searched a house belonging to Tha’er Jamil Bani ‘Oudah and then arrested him. At approximately 02:00, Israeli forces moved into Barqah village, northwest of Nablus. They raided and searched a number of houses and then arrested Salah Fatin Salah (20), Mo’en Haris Heji (20). Around the same time, Israeli forces moved into Balata refugee camp, east of Nablus. They raided and searched several houses after which they arrested 3 civilians namely Kamal Mahmoud Abu ‘Arab (18), Ahmed Haitham Shalbanah (18) and Saleh ‘Ali Hashash (26). At approximately 03:30, Israeli forces moved into Shueikah Suburb, east of Tulkarm. They raided and searched a shop for selling computers and cell phones belonging to Jihad ‘Adnan Mustafa Edhiliyah. The soldiers confiscated many devices. They also raided and searched houses belonging to Khalid Raslan Hasan Na’alwah (38) and Jihad ‘Adnan Mustafa Na’alwah (28) and then arrested them. At approximately 23:30, Israeli forces moved into the eastern area in Nablus to secure hundreds of Israeli settlers’ entry in busses to perform Talmudic prayers in “Joseph’s Tomb” in Balatet al-Balad. Dozens of Palestinian children and young men gathered in Balatet al-Balad and the outskirts of Balata refugee camp and Old and New ‘Askar refugee camps. They threw stones and empty bottles at Israeli soldiers. The soldiers fired live and rubber bullets, sound bombs and tear gas canisters at them. Meanwhile, Mohammed Abdullah Mar’ie (58) from Marj Na’jah village in the northern Valleys was driving his car heading to the main market along with his son Abdullah (20). As a result, Mohammed was hit with live bullet shrapnel to the right shoulder while his son was hit with live bullet shrapnel to the right hand. The shooting also caused the injury of 3 civilians, one of them was arrested namely Omer Mustafa Mousa Abu Lail (30) who was hit with a live bullet to the right foot. The Israeli forces also raided and searched a number of houses after which they arrested 3 civilians namely Mahran Hani Abu Tubbah (22), Sa’ed ‘Abed Majdalawi (20) and Sobhi Zuhai Jawabrah (23) from Balatah refugee camp. Note: During the aforementioned day, Israeli forces conducted (5) incursions in the following areas and no arrests were reported: Qalqiliyah and ‘Azzoun village, east of the city; Ektaba village, north of Tulkarm; Yatta and Hebron’s Old City. At approximately 01:00, Israeli forces moved into Kufor Qalil village, southeast of Nablus. They raided and searched a house belonging to Omer Farouq ‘Amer (25) and then arrested him. At approximately 01:30, Israeli forces moved into al-Thaheriyah village, south of Hebron and stationed in al-Deir neighborhood. They raided and searched a house belonging to Ibrahim Shehadah Abu Sharek (30) and then arrested him. At approximately 07:30, Israeli forces accompanied with a number of military vehicles moved about 80 meters into the east of al-Qararah village, east of Khan Younis in the southern Gaza Strip. They leveled lands and repaired the border fence and then headed to the south. After few hours, the Israel forces redeployed along the border fence between the Gaza Strip and Israel. At approximately 15:00, Israeli forces accompanied with a number of military vehicles moved about 70 meters into the north of the Return camp in Khuza’ah village, east of Khan Younis in the southern Gaza Strip. They leveled lands and repaired the barbed wire fence after parts of it were removed last Friday. During the incursion, the Israeli forces opened fire and fired tear gas canisters at a group of young men who were near the Return camp. As a result, a number of them suffered tear gas inhalation. Few hours later, the Israeli forces redeployed along the border fence between the Gaza Strip and Israel. Around the same time, an Israeli warplane launched a missile at a group of civilians while they were near the Juice factory, east of al-Sheja’eya neighborhood, east of al-Tuffah neighborhood, but no casualties were reported. At approximately 15:15, an Israeli warplane launched a missile at a motorbike for those flying flaming kites, east of al-Tuffah neighborhood, east of Gaza city, but no casualties were reported. At approximately 15:20, Israeli forces stationed behind the border fence between the Gaza Strip and Israel fired an artillery shell at a border control point belonging to Palestinian armed groups. The point is in al-Sheja’eiyah neighborhood, east of Gaza City, but no casualties were report. Note: During the aforementioned day, Israeli forces conducted (5) incursions in the following areas and no arrests were reported: Noor Shams refugee camp, east of Tulkarm; al-Samou’a, Ethna, al-Hejrah and Deir Samet villages in Hebron. At approximately 00:30, Israeli forces moved into ‘Asirah village, north of Nablus. They raided and searched a house belonging to Ahmed Tawfiq Sawalha (25) and then arrested him. At approximately 01:00, Israeli forces moved into Beit Fujjar village, south of Bethlehem. They raided and searched houses from which they arrested Qais Mohamed Thawabtah (19) and Ameen ‘Ali Thawabtah (20). Around the same time, an Israeli drone fired 2 missiles at a jeep belonging to a civilian. The jeep was parked in front of his house in al-Nusirat Camp in the central Gaza Strip. The bombing resulted in setting fire to the car, damaged it completely, and damaged 8 windows of nearby houses. No casualties among civilians were reported, but the bombing caused fear among them, especially children. At approximately 02:00, Israeli forces moved into al-Shaiekh neighborhood in Hebron. They raided and searched a house belonging to Suliman Abu Shakhdam and handed him a summons to refer to the Israeli Intelligence Service in “Gosh ‘Etzion” settlement, south of Bethlehem. They also arrested his son Suhaib (23). At approximately 02:20, Israeli forces stationed along the border fence between the Gaza Strip and Israel, east of al-Amal neighborhood, northeast of Beit Hanoun, north of the Gaza Strip, opened fire and fired 2 artillery shells, which fell on an empty land 800 meters away from the border fence. Neither causalities nor damage was reported. At approximately 03:00, Israeli forces moved into Beit Ummer village, north of Hebron. They raided and searched a house belonging to Mahmoud Mohamed Abu ‘Ayyash (27) and then arrested him. At approximately 05:45, Israeli forces moved into Barqah village, east of Ramallah. They raided and searched a house belonging to Nizam ‘Ali Ma’ali (45) and then arrested his wife Najlaa Omar Ma’ali (40). Around the same time, Israeli forces moved into al-Jalazoun Refugee Camp, north of Ramallah. They raided and searched a house belonging to Naser Jamal Makhlouf (22) and then arrested him. At approximately 15:30, Israeli forces stationed along the border fence between the Gaza Strip and Israel, east of al-Maghazi Camp in the Central Gaza Strip, opened fire at agricultural lands adjacent to the fence. No casualties among civilians were reported, but farmers were forced to leave their lands fearing for their lives. At approximately 17:00, Israeli forces stationed along the border fence between the Gaza Strip and Israel, east of Gaza Valley (Juhor al-Deek) in the central Gaza Strip, opened fire at agricultural lands adjacent to the fence. No casualties among civilians were reported, but farmers were forced to leave their lands fearing for their lives. Note: During the aforementioned day, Israeli forces conducted (5) incursions in the following areas and no arrests were reported: Dura and Kharsa villages in Hebron; and Kufor al-Deek, west of Salfit. As part of the collective punishment policy applied by the Israeli forces against the Palestinian families of those accused of carrying out attacks against the Israeli forces and/or settlers, on Thursday, 21 June 2018, the Israeli forces destroyed the interior and external walls of an apartment in Barta’ah village, southwest of Jenin. According to PCHR’s investigations, at approximately 01:00, Israeli forces accompanied with 20 vehicles moved into Barta’ah village that is isolated behind the annexation wall, southeast of Jenin. The Israeli forces stationed in the Market Street in the center of the village and then surrounded a residential building comprised of 4 floors belonging to Ratib ‘Abed al-Latif As’ad Qabha. The Israeli forces raided a 140-square-meter residential apartment in the 3rd floor and then destroyed with hammers and a digger the interior walls. Before the Israeli soldiers’ withdrawal, they welded the main door with oxygen. It should be noted that on 16 March 2018, the Israeli forces arrested Ratib’s son ‘Alaa (26) after opening fire at him and wounding him due to carrying out a run over attack against a number of soldiers stationed at a military checkpoint near “Mevo Dotan” Camp, south of Jenin. At approximately 10:30 on Thursday, 21 June 2018, dozens of Palestinians gathered in the eastern side of Malakah intersection, east of al-Zaytoun neighborhood, east of Gaza City during their participation in the activities of the March of Return and Breaking Siege. The protestors threw stones at Israeli soldiers stationed behind the border fence between the Gaza Strip and Israel. The soldiers fired live and rubber bullets and tear gas canisters at them. As a result, 2 civilians, including a child, were wounded. A 15-year-old child was hit with a live bullet to the right leg while a 22-year-old civilian was hit with a live bullet to the abdomen. At approximately 15:00 on Friday, 22 June 2018, hundreds of Palestinian swarmed to the Return camp, east of Khuza’ah village, east of Khan Younis to participate in the “Loyalty to the Wounded Friday ” established by the Supreme National Authority for the Great March of Return and Breaking Siege. The participants, including men, elderlies, women and children, inside and outside the camp. They raised the Palestinian flags, chanted national slogans and flew kites as dozens of them approached the border fence between the Gaza Strip and Israel and set fire. A number of them attempted to throw stones at Israeli forces and remove the barbed wire fence established by those forces on the Palestinian lands 30-50 meters away from the main border fence. The Israeli forces stationed behind hills, sand barriers, military vehicles and their vicinity sporadically opened fire and fired tear gas canisters at the protestors and towards the camp yard. The shooting continued until approximately 20:00. As a result, 20 civilians, including 2 children and a woman, were hit with live bullets and tear gas canisters. The wounded civilians were taken to the field hospital and then transferred to Nasser, Gaza European and Algerian Hospitals. According to observation of PCHR’s fieldworker, the shooting intensified between 18:30 and 19:30, causing most of the injuries. Doctors classified the injury of Osama Khalil Qasem Abu Khater (29), who was hit with a live bullet to the chest as serious. He was transferred to Gaza European Hospital where he was adimited to the ICU due to his serious injury and stayed at the hospital until his death was announced at approximately 01:30 on Sunday, 24 June 2018. At approximately 16:00 on the same Friday, thousands of civilians swarmed to the Return camps established by the Supreme National Authority for the Great March of Return and Breaking Siege, east of Malakah intersection, east of al-Zaytoun neighborhood, east of Gaza City in the 12th consecutive Friday known as “Millions March to Jerusalem”. The activity included raising flags, chanting national slogans, setting fire to tires and flying kites. Though the demonstrations were fully peaceful, Israeli forces stationed behind the border fence between the Gaza Strip and Israel deliberately and randomly fired live and rubber bullets and tear gas canisters at them. As a result, 18 civilians, including a child, woman and photojournalist, were hit with live bullets and tear gas canisters and their shrapnel. The photojournalist namely ‘Ali Hasan Mousa Jadallah (28), who works at Anadolu Agency, was hit with shrapnel to the right hand. At approximately 16:30 on the same day, dozens of civilians swarmed to the Return encampments established by the Supreme National Authority for the Great March of Return and Breaking Siege in Abu Safiyah Hill, northeast of Jabalia in the northern Gaza Strip. the protestors raised Palestinian flags, chanted national slogans and set fire to tires. Hundreds of them approached the border fence between the Gaza Strip and threw stones at Israeli soldiers stationed behind the border fence. The soldiers deliberately and randomly fired live and rubber bullets and tear gas canisters at the participants. As a result, 19 civilians, including 3 children, were wounded. Twelve of them were hit with live bullets and its shrapnel and 7 were directly hit with tear gas canisters. The wounded civilians were transferred via ambulances belonging to Palestine Red Crescent Society (PRCS), Medical Services, General Union Committee and the Ministry of Health to the Indonesian, al-Awda and Kamal Edwan Hospitals. Doctors classified the injury of 6 civilians as serious while the others’ injury between minor and moderate. Around the same time, thousands of Palestinian protestors swarmed to the encampments established by the Supreme National Authority for the Great March of Return, 400 meters away from the border fence between the Gaza Strip and Israel, east of al-Buraij in the central Gaza Strip, hundreds of them approached the border fence, set fire to tires and threw stones at Israeli soldiers stationed behind sand barriers along the border fence. The soldiers fired live bullets and tear gas canisters at them. The clashes continued until the evening hours. As a result, 14 civilians, including 3 children, were wounded. Nine of them were hit with live bullets and 5 others were directly hit with tear gas canisters. The wounded civilians were transferred via PRCS ambulances to al-Aqsa Hospital in Deir al-Balah. Doctors classified the injuries of 3 civilians as serious while the others’ between minor and moderate. The Israeli soldiers also targeted a gathering of civilians in the camps and the field hospital belonging to the Ministry of Health. As a result, the medical staffers and dozens of civilians suffered tear gas inhalation. At approximately 17:00 on the same Friday, thousands of civilians swarmed to the Return encampment established by the Supreme National Authority for the Great March of Return and Breaking Siege. They were around 300 meters away from the border fence between the Gaza Strip and Israel, east of al-Shawkah village, east of Rafah in the southern Gaza Strip. A number of young men approached the border fence, flew kites, set fire to tires and threw stones at Israeli soldiers stationed behind sand barriers along the border fence. The soldiers fired live bullets and tear gas canisters at them. The clashes continued until approximately 20:00. As a result, 7 civilians were wounded. Three of them were hit with live bullets and its shrapnel and 4 others were directly hit with tear gas canisters, including paramedic Saqer Jihad Mustafa al-Jamal (24). The wounded civilians were taken to the field hospital in the Return camp and then transferred to Abu Yusuf al-Najjar in Rafah. Doctors classified their injuries as moderate. At approximately 17:30 on Monday, 25 June 2018, Israeli soldiers stationed behind the border fence between the Gaza Strip and Israel, fired live bullets and tear gas canisters at dozens of civilians, who gathered in the Return camp near the border fence, east of al-Shawkah village, east of Rafah in the southern Gaza Strip. As a result, a number of civilians suffered tear gas inhalation. At approximately 17:45 on Wednesday, 27 June 2018, Israeli forces stationed behind the border fence between the Gaza Strip and Israel, east of Abu Safiyah Hill, northeast of Jabalia in the northern Gaza Strip, fired live bullets at civilians who approached the border fence. As a result, Adam ‘Emad Dyab Salem (15) from al-Shati’ refugee camp, west of Gaza City. The Israeli soldiers crossed the border fence into the Palestinian lands and dragged the child into Israel. Later, the Israeli forces’ spokesperson stated that “the child is wounded and he is receiving medical treatment at Barzilai Medical Center.” He also said that: “the Israeli forces opened fire at a group of civilians who attempted to sneak and cross the border fence, causing wounded to a child and then the soldiers transferred him to the hospital to receive medical treatment.” The social media published photos and videos documenting the incident when the child was wounded. The videos shown that the Israeli soldiers reached the area that was around 10 meters into the west of the border fence and the child was a civilian who did not pose any threat to the lives of the Israeli soldiers. The child’s family said to PCHR’s fieldworker that they contacted the International Committee of the Red Cross (ICRC) who informed them that their son was hit with a live bullet to the legs. The family also said that their son is ill and suffers from Epileptic Seizures. The shooting continued by the Israeli soldiers against the civilians until approximately 19:00 on the same day. As a result, a 31-year-old civilian from Jabalia was hit with a live bullet shrapnel throughout his body. He was transferred to the Indonesian Hospital and doctors classified his injury as moderate. At approximately 19:50 on the same Wednesday, Israeli forces stationed behind the border fence between the Gaza Strip and Israel, east of al-Shawkah village, east of Rafah, fired live bullets at 4 young men during their attempt to cut the barbed wire and sneak through the border fence. As a result, 2 civilians were wounded. One of them was hit with 2 live bullets to the abdomen and his injury was classified as serious while the other was hit with a live bullet shrapnel to the left leg and his injury was classified as moderate. The wounded civilians were transferred to Abu Yusuf al-Najjar hospital in Rafah. Following Friday prayer at approximately 13:30 on 22 June 2018, a group of Palestinian civilians moved from Kufor Qaddoum village, northeast of Qalqiliyah, to the eastern entrance to the village, which has been closed for 15 years in favor of the entrance to “Kedumim” settlement established on the village lands. The protestors chanted national slogans demanding end of occupation, condemning the U.S President Donald Trump’s decision to recognize Jerusalem as the capital Israel and condemning the Israeli forces’ crimes against Palestinian protestors along the eastern border of the Gaza Strip within “The Great March of Return and Breaking the Siege” activities. The protestors set fire to tires, threw stones at Israeli soldiers stationed behind sand barriers. They also carried unreal coffin with the “Century Deal” slogan on it and then burnt it. As a result, 8 civilians, including 2 children and a photojournalist were hit with rubber bullets. The photojournalist was identified as Naser Suleiman Eshtiah (50) from Salem village, east of Nablus, works at Associated Press, was hit with a rubber bullet to the right hand. On Wednesday, 20 June 2018, Israeli authorities allowed 4 persons; and on Tuesday, 26 June 2018, one person who works at the General Authority of Civil Affairs (GACA) and internationals to renew their permits. On Wednesday, 20 June 2018, the Israeli authorities allowed 2 persons to travel via Erez Crossing on a trip organized by an international organization. On Friday, 22 June 2018, the Israeli authorities allowed 3 persons; and on Monday, 25 June 2018, 3 persons to return to the West Bank. On Sunday, 24 June 2018, the Israeli authorities allowed one person to travel via the crossing to give his testimony in the Israeli Courts. At approximately 09:30 on Thursday, 21 June 2018, Israeli forces established a checkpoint at the main entrance to Ras Kakar village. At approximately 12:15, a similar checkpoint was established at the entrance to Kherbitha al-Mosbah village, west of the city. On Friday, 22 June 2018, Israeli forces established 3 checkpoints at the entrance to al-Nabi Saleh village, northwest of Ramallah; at the entrance to Silwad village; and at the entrance to ‘Ain Yabroud village, northeast of the city. On Saturday, 23 June 2018, 2 similar checkpoints were established at the entrance to al-Nabi Saleh village and at the main entrance to ‘Ain Yabroud village. On Monday, 25 June 2018, Israeli forces established 3 checkpoints in the main square of ‘Ain Sinah village; in ‘Atarah village’s bridge, north of Ramallah; and at the entrance to Silwad village, northeast of the city. On Thursday, 21 June 2018, Israeli forces established 2 checkpoints at the entrances to Beit Ummer and al-Shayyoukh villages. On Friday, 22 June 2018, Israeli forces established 4 checkpoints at the western entrance to Hebron and at the entrances to Beit Kahel, Beit ‘Aynoun, and Samou’a villages. On Saturday, 23 June 2018, 3 similar checkpoints were established at the northern entrance to Hebron, at the southern entrance to Hebron, and at the entrance to Karzah village. On Sunday, 24 June 2018, 2 similar checkpoints were established at the entrances to Sa’ir and Samou’a villages. On Monday, 25 June 2018, 3 similar checkpoints were established at the entrances to al-Dahiriyia and Bani Na’iem villages and at the southern entrance to Halhoul village. On Wednesday, 27 June 2018, Israeli forces established 3 checkpoints at the entrances to Beit ‘Awaa and Bani Na’iem villages and at the southern entrance to Halhoul village. Qalqiliyia: Israeli forces established (7) checkpoints all over the city. On Thursday, 21 June 2018, Israeli forces established 4 checkpoints at the eastern entrance to Qalqiliyia (was established 2 times) and at the entrance to ‘Aziun village, east of the city (was established 2 times). At approximately 12:20 on Friday, 22 June 2018, Israeli forces established a checkpoint at the entrance to Heblah village, south of Qalqiliyia. At approximately 17:15 on Sunday, 24 June 2018, a similar checkpoint was established between Hijah and al-Fondouq villages, east of Qalqiliyia. At approximately 18:15 on Monday, 25 June 2018, Israeli forces established a checkpoint at the southern entrance to Qalqiliyia village. At approximately 00:30 on Sunday, 24 June 2018, Israeli forces established a checkpoint at the entrance to Beit Lid village, east of Tulkarm. At approximately 14:20 on Sunday, 24 June 2018, Israeli forces stationed at Za’tarah checkpoint, south of Nablus, arrested Naseem Mohamed Sal’ous (24), from Nablus. At approximately 18:00 on Sunday, Israeli forces stationed at ‘Inab checkpoint, east of Tulkarm, arrested 3 civilians, including a child. The arrested civilians were identified as Ahmed Hitham Shalbayia (17), Kamal Mahmoud Abu ‘Arab, and Saleh ‘Ali ‘Atallah Hashash. All of them are from Balatah refugee camp, east of Nablus. At approximately 16:00 on Monday, 25 June 2018, Israeli forces established a checkpoint at the northern entrance to Yatta village “Zaif”. The Israeli forces stopped Palestinian civilians’ vehicles, checked the passengers’ ID, and then arrested Ra’fat Musalam ‘Ashour (31). On Monday, Israeli forces stationed at Za’tarah checkpoint, south of Nablus, arrested 3 civilians, who were identified as Mo’tasem Mohamed Khatib (22), from Balatah refugee camp, east of Nablus; ‘Abed al-Fattah Dalabsha; and Tamer Jamal Makhlouf. ‘Abed al-Fattah and Tamer are from al-Jalazoun Refugee Camp, north of Ramallah. On Monday, 26 June 2018, Israeli forces established a checkpoint on Nablus- Qalqiliyia Road. They stopped Palestinian civilians’ vehicles, checked the passengers’ IDs and then arrested Majdi Sadeq al-Sholi (28), from ‘Asirah village, north of Nablus. At approximately 23:10 on Tuesday, 26 June 2018, Israeli forces stationed at Za’tarah checkpoint, south of Nablus, arrested ‘Anan Muhsen ‘Abed al-Rahman Jaber (24), from ‘Anbatah village, east of Tulkarm. At approximately 00:00 on Thursday, 21 June 2018, Israeli forces moved into al-Mukaber Mount, south of occupied East Jerusalem. They raided and searched a house belonging to j journalist Rasem ‘Enad ‘Obaidat (60) and then arrested him. Rasem was taken to al-Maskobiyia Center for investigation. It should be noted that Rasem was arrested 3 days ago while participating in a ceremony to celebrate the National Day of Russia in Ambassador Hotel in al-Shaiekh Jarrah neighborhood. The Israeli forces released him after questioning him for few hours in al-Maskobiyia Center and then arrested him again on the same above-mentioned grounds. Mofeed al-Haj,Lawyer of Palestinian Prisoner Club, said that on Monday 25 June 2018, the Magistrate Court in Jerusalem decided to release Rasem on one condition that it will impose a house arrest on him and a bail estimated at NIS 1500, in addition to a self-bail and a third party bail estimated at NIS 5000. The court also released him on conditions that he would not participate in meetings and protests for 30 days and never contact anyone interrogated with the same case for 40 days. At approximately 01:00, Israeli forces moved into al-Tour neighborhood, east of occupied East Jerusalem’s Old City. They raided and searched a house belonging to ‘Abdullah al-Kasawani, head of al-Zaytoun Mount Club and member in the Palestinian football team, and then arrested him. At approximately 13:00 on Thursday, Israeli forces moved into al-Sa’diyia neighborhood in occupied East Jerusalem’s Old City. They raided and searched a house belonging to Mohamed Mahdi Abu ‘Asab (13) and arrested him after severely beating him up. Mohamed was then taken to an investigation center for interrogation. At approximately 11:00 on Sunday, 24 June 2018, Israeli forces moved into al-Sawanah neighborhood, east of occupied East Jerusalem’s Old City. They raided and searched a house belonging to Naser al-Hadami (49), Director of Jerusalem Authority against Judaization, and then arrested him. At approximately 21:00 on Sunday, 24 June 2018, Israeli forces moved into Ras al-‘Amoud neighborhood, east of occupied East Jerusalem. They raided and searched a house belonging to Mohamed Nimer ‘Ashwah (17) and then arrested him. At approximately 14:30 on Monday, 26 June 2018, Israeli forces severely beat Husam Mohamed al-Nabolsi (53) while he was in al-Wad Street in occupied East Jerusalem’s Old City, and then arrested him after taking him to an Israeli hospital to receive treatment. Rami Nabolsi, the wounded’s brother, said that he informed that the Israeli border guard officers attacked his brother Husam and severely beat him. He also said that he did not know why his brother was beaten and he knew from people in the area that his brother was taken to one of the Israeli hospitals. Eyewitnesses said that the Israeli forces arrested al-Nabolsi in Bab al-Khalil in the Old City, but he fled after chasing him and arrested him again and severely beat him. As a result, he was taken to an Israeli hospital. At approximately 12:30 on Tuesday, 25 June 2018, Israeli forces moved into al-‘Izariyia village, east of occupied East Jerusalem. They raided and searched houses from which they arrested two siblings Nour (20) and Ghada. At approximately 02:00, Israeli forces moved into Sho’fat Refugee Camp, north of occupied East Jerusalem. They raided and searched dozens houses and then arrested 10 civilians. PCHR keeps the names of the arrested persons. At approximately 03:30, Israeli forces moved into al-Ram village, north of occupied East Jerusalem. They raided and searched Shawabkah Family house, where they arrested Nayif al-Shawabkah (29) and ‘Alaa al-Shawabkah (26). On Tuesday, the Israeli authorities handed the former prisoner ‘Odai Rebhi Sonnoqrot (27), from Ras al-‘Amoud neighborhood, east of occupied East Jerusalem, a military decision to deport him from Jerusalem for 6 months. The decision was issued after summoning ‘Odai to al-Maskobiyia Center for interrogation in West Jerusalem. Sonnuqrot said that he was summoned to al-Maskobiyia Center, where he was handed a military decision to deport him from Jerusalem for 6 months. He pointed out that he was released from the Israeli jails on Thursday 21 June 2018 after staying 32 days in al-Maskobiyia Center cells. He added that he was subjected to a house arrest instead of releasing him and prevented him from seeing his father for a week. The Israeli Court also forced him to pay NIS 10,000, in addition to a third party bail estimated at NIS 150,000. He clarified that this decision would keep him away from his wife and their 2 children, who live in their house in Ras al-‘Amoud neighborhood. At approximately 07:00 on Monday, 25 June 2018, Israeli vehicles demolished 5 agriculural dunums belonging to 5 Palestinian civilians in Hizmah village, northeast of occupied East Jerusalem. The Hizmah village’s mayor Samar Salah al-Deen said that the Israeli Municipality staff accompanied with many Israeli forces and vehicles moved into the village in the morning. These forces closed all streets leading to ‘Anatah village and declared it as a closed military zone. Following that, the Israeli vehicles demolished 3 glasshouse nurseries and a shop for selling sheds established on an area of 5 dumuns under the pretext of non-licensing. Those facilities belonged to Ibrahim Salem, Ghaleb Salem, Mohamed al-Sewari, Mohamed Fayiz, and Mohamed ‘Askar. The mayor said that the Israeli vehicles not only demolished but also intentionally damaged the glasshouse nurseries to prevent civilians from reusing them again. The losses of those facilties’ owners were estimated at thousands shekels, noting they are the only source of income for the owners. It should be noted that the Israeli forces previously demolished those facilities several times. In the same context, the Israeli Municipality forced al-Showaki Family to self-demolish their house in Was Yasoul neighborhood in Silwan village, south of occupied East Jerusalem’s Old City under the pretext of non-licensing or the municipality “will impose fines on them and force them to pay the municipality demolition costs. Wael al-Showaki said to PCHR’s fieldworker that his family and he were forced to demolish 2 under-construction houses to avoid paying NIS 90,000 as told by the municipality staff while raiding their house twice during the past days. The municipality staff also handed him an administrative notice that allows the municipality to demolish the houses in anytime. The family said that they built the houses at the beginning of last May and when they were preparing for casting the concrete, the municipality staff raided the house and handed them the notice. On Friday, 22 June 2018, the municipality staff raided their house again, handed them another notice, and gave them 4 days to demolish what they built or they will pay a fine. Wael said that the 2 houses cost around NIS 40,000. 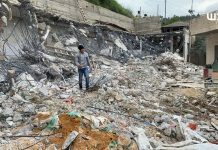 On Tuesday, 26 June 2018, the Israeli Municipality vehicles demolished a house belonging to ‘Izzat ‘Abed al-Qader in Tal’et Hizmah area in Beit Huninah neighborhood, north of occupied East Jerusalem, under the pretext of non-licensing. ‘Izzat said that the Israeli forces surrounded his house and then completely demolished it. He also said that the municipality staff raided his house in the previous day and handed him a decision to vacate the house contents. The 90-square-meter house was built near his family house in 2000 and sheltering his wife and their child. In the same context, the Israeli Municipality vehicles demolished a 100-meter steel fence in al-Hardoub area in al-Tour neighborhood, east of occupied East Jerusalem’s Old City. An eyewitness said that the plot of land belonging to Murad Abu Subitan and Hani al-Sayyad. In Wadi Helwa neighborhood in Silwan village, south of occupied East Jerusalem’s Old City, the Israeli Municipality demolished a parking belonging to Eyad Ramadan. Eyad said that the Israeli Municipality forced him in last April to self-demolish the parking roof and parts of its walls. On the same day, Eyad was surprised with raiding the parking and completely demolishing it. In al-Issawiyia village, northeast of occupied East Jerusalem, the Israeli Municipality demolished agricultural roads in the eastern area of the village, noting that those lands were threatened of confiscation in favor of “National Parks” projects. A 200-square-meter inhabited house built of concrete and 70-square-meter barrack. Both of them belong to ‘Isaa Mahmoud al-‘Adrah. An 80-square-meter inhabited house built of concrete and belongs to Mohamed Ahmed al-‘Adrah. An 80-square-meter inhabited house built of concrete and belongs to Jabreen Mahmoud al-‘Adrah. A 100-square-meter inhabited house built of concrete and belongs to Ibrahim Mohamed Ibrahim al-‘Adrah. A 443-meter road leading to al-Safa School. On Tuesday, 26 June 2018, Israeli forces established a military watchtower in al-Bowairah area, east of Hebron, which is near Beit ‘Aynoun area on Palestinian lands belonging to al-‘Eidah Family. It should be noted that Israeli settlers established a settlement outpost on an area of 40 dunums on the Palestinian confiscated lands. On 05 March 2018, the Israeli settlers under the Israeli forces’ protection leveled the plot of land and placed the Israeli flags on it. They also brought a water tank and installed banners on them. In the afternoon, trucks brought 4 mobile homes from “Kriyat ‘Arba’” settlement and put them in the land. The Israeli forces denied Palestinian civilians and the lands’ owners’ access. The new settlement outpost is opposite to “Kiryat Arba” and “Kharsina” settlements.